Anyone can love the mountains; it takes soul to love the prairie. No phenomenon in nature illustrates more vividly the principle that conservation measures must be directed at ecosystems, not just individual species. 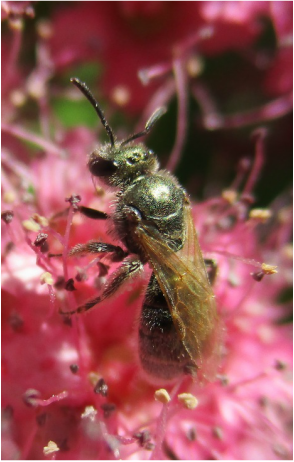 If the last pollinator species adapted to a plant is erased by pesticides, or habitat disturbance, the plant will soon follow. 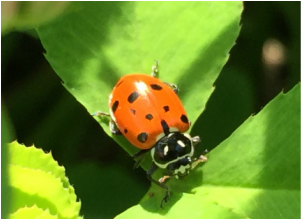 And as these and other populations decline or disappear, the consequences spread through the remainder of the food net, weakening other interspecific relationships. 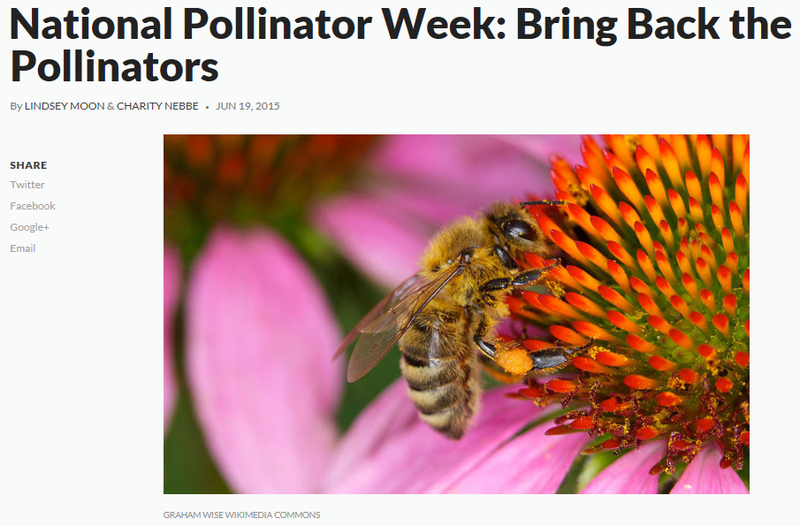 The evidence is overwhelming that wild pollinators are declining…. 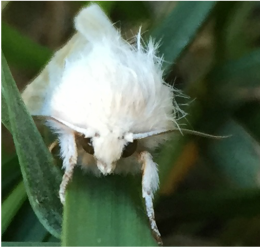 Their ranks are being thinned not just by habitat reduction and other familiar agents of impoverishment, but also by the disruption of the delicate “biofabric” of interactions that bind ecosystems together. 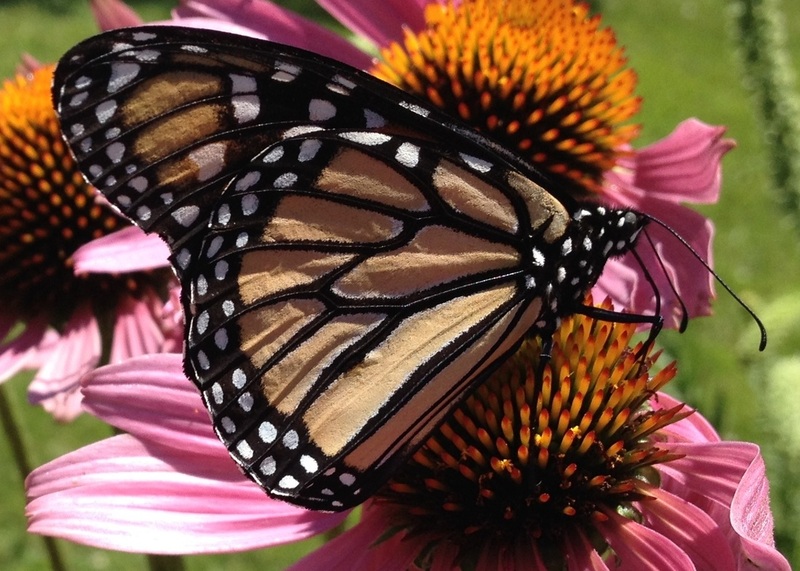 Humanity, for its own sake, must attend to the forgotten pollinators and their countless dependent plant species. 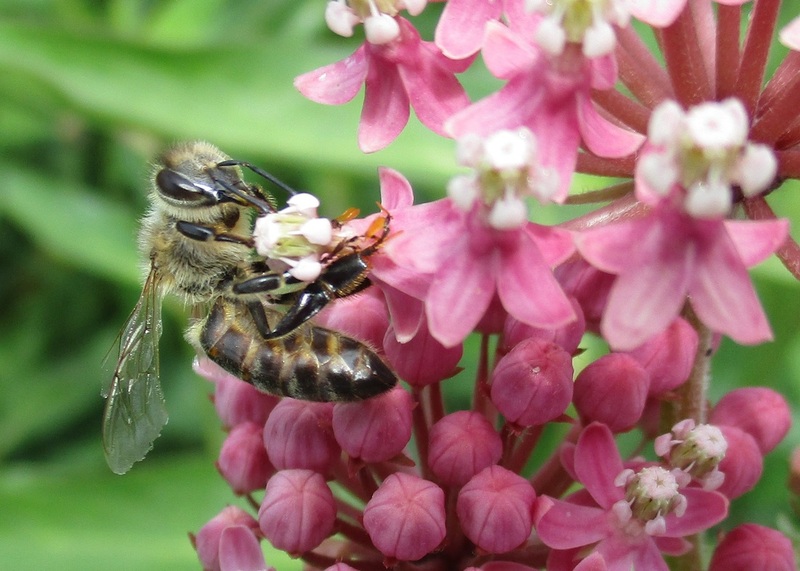 Bees and milkweed, alive and well in the middle of the cornfield of a Conservation Innovation Grant participant farmer. 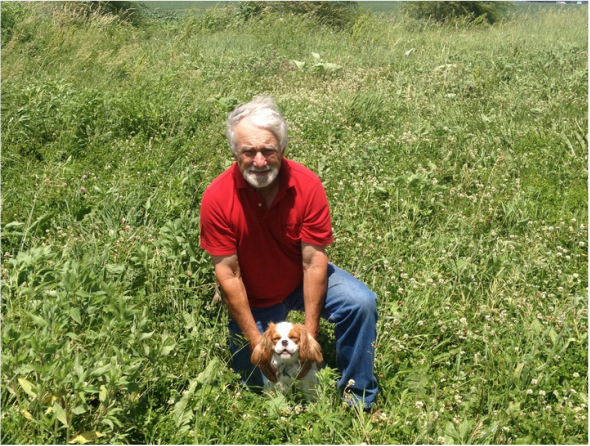 This isn't the field he had mapped with the Soil Information System, but he's more aware now of the need to avoid spraying near habitat like this. 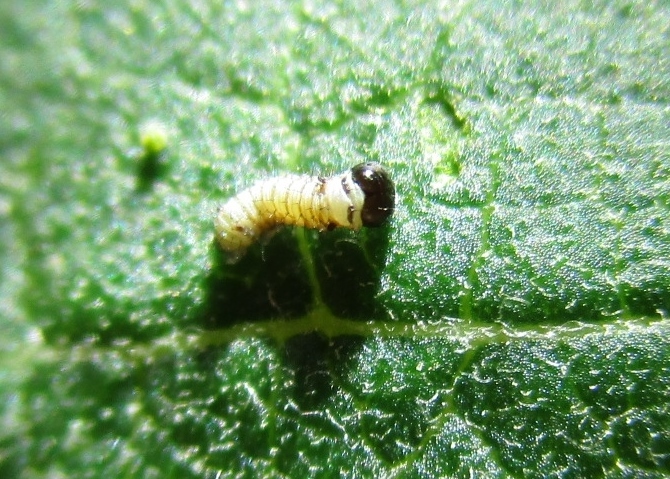 We hope the plants are all hosting one of the little monarch caterpillars like the one shown at 2 days old. Shannon and Liza Jane, our little prairie dog, in the 2014 prairie just as it begins to come to life. Lots of these little hover flies have been busy everywhere in the butterfly gardens and prairie. 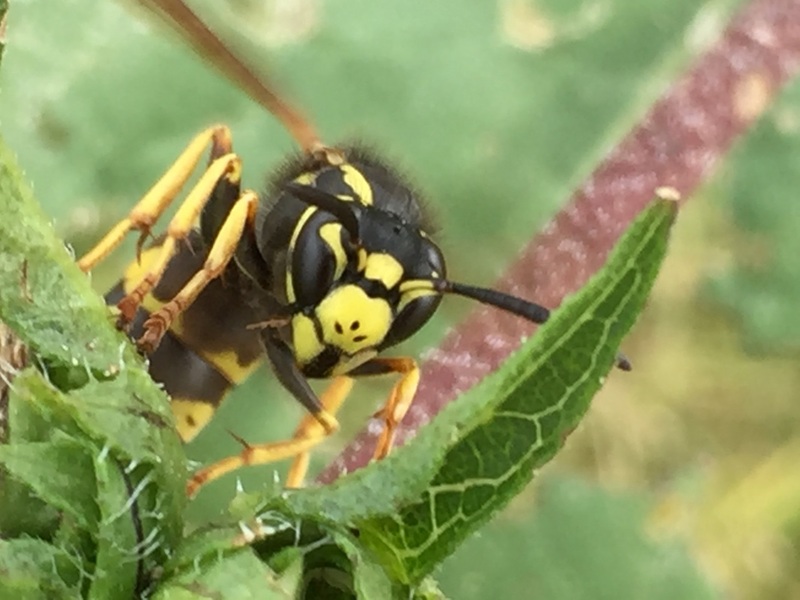 Yellow jacket in the prairie planted this year. 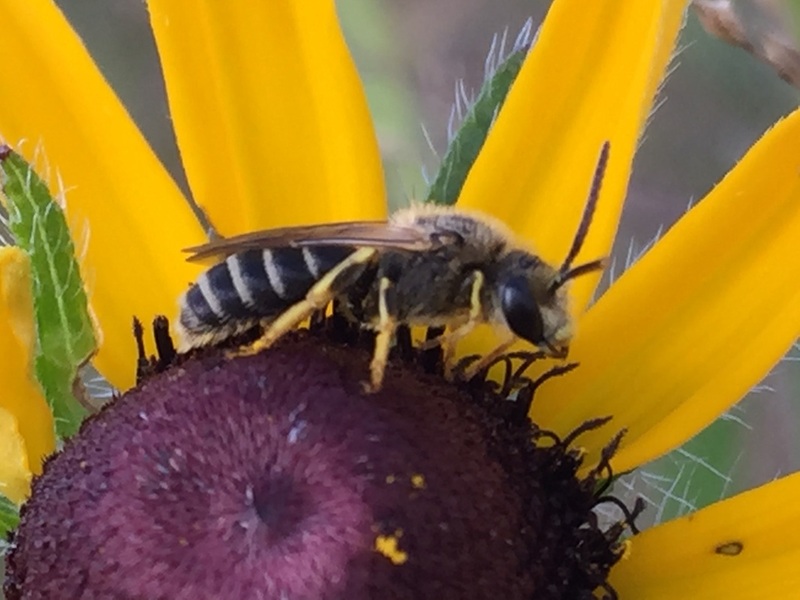 Eventually, native plants will overtake the weeds, but in the meantime, the wasps are working hard in this patch of very young prairie. 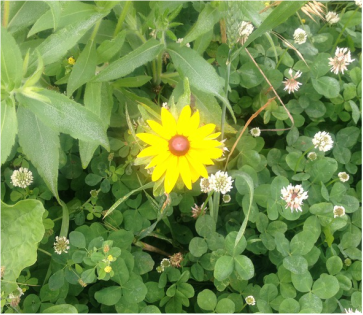 The first black-eyed susan to show up in the 2014 prairie planting. We're going to have to plan our burns carefully to control the thistles that waste no time moving in, but the pollinators sure do like them! 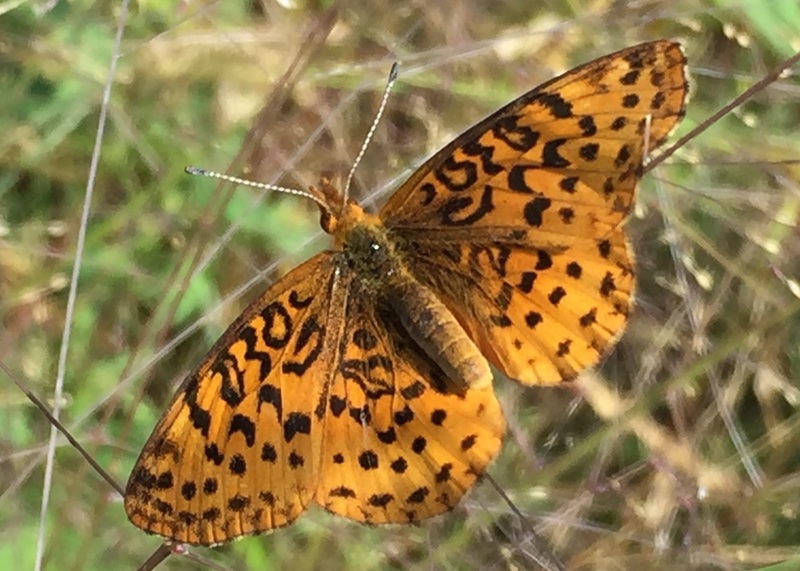 A meadow fritillary butterfly in last year's prairie. 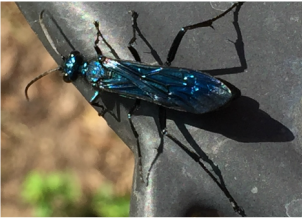 The dance flies were among the first and most abundant pollinators to show up in the prairie planted in 2014. 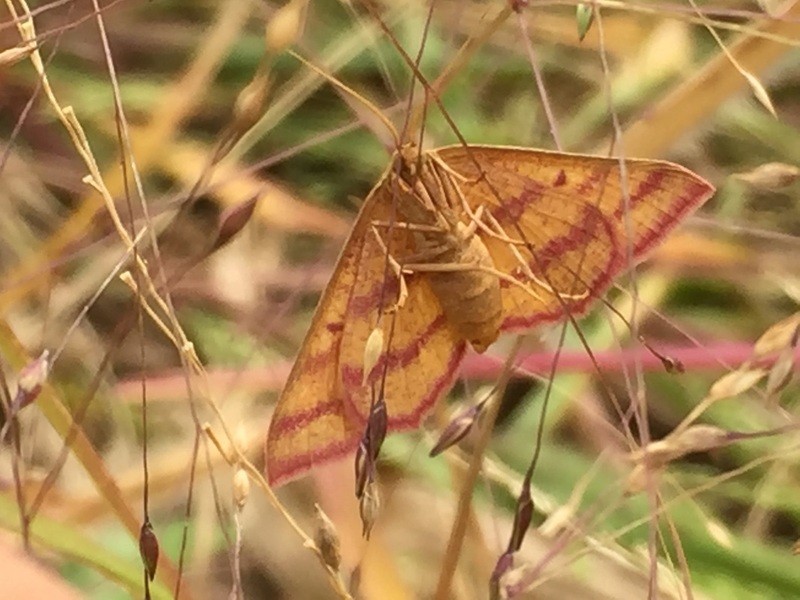 A chickweed geometer moth in this year's prairie. The prairie planted this year is already sprouting black-eyed susans like crazy. 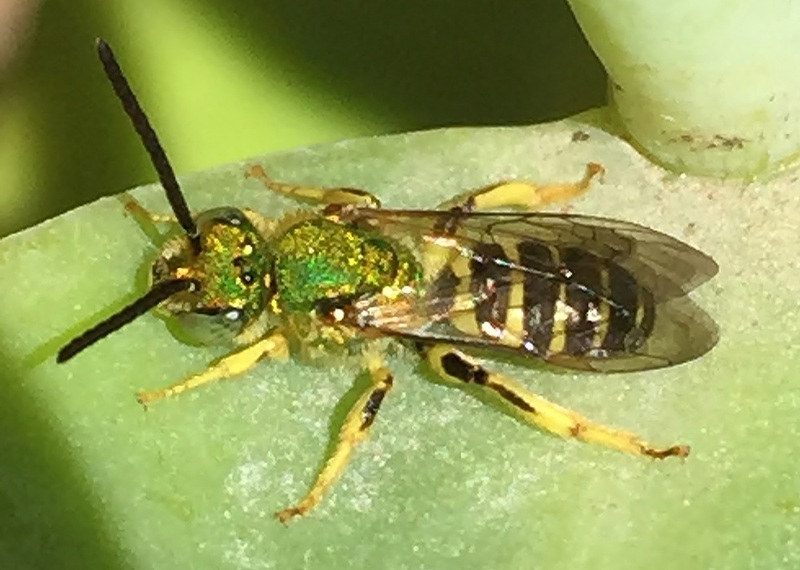 This little sweat bee took time out from pollinating to pose for a photo! 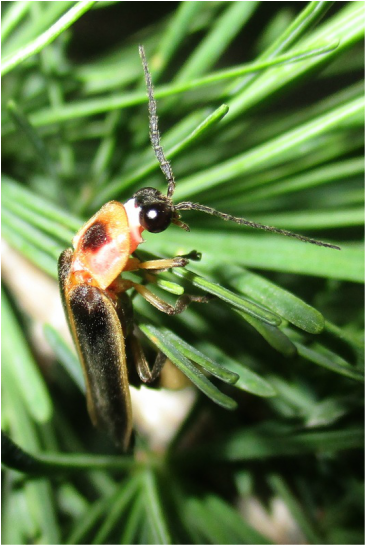 The glowing insects pollinate plants and keep pests in check, but they’re disappearing as pesticides and habitat loss take a toll. Are you a pheasant or quail hunter? 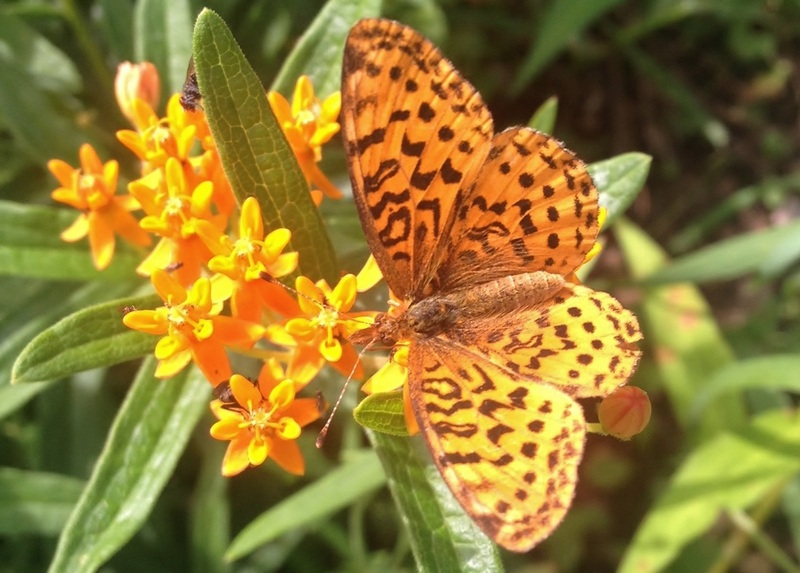 Pheasants Forever offers some tips on how to attract them while providing pollinator habitat. 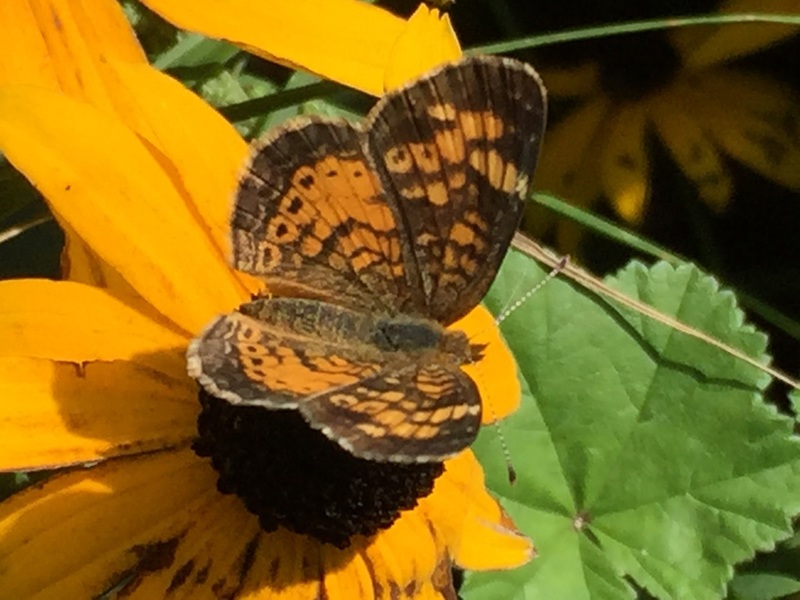 During this Talk of Iowa, host Charity Nebbe talks with [ISU Entomologist, Donald] Lewis. 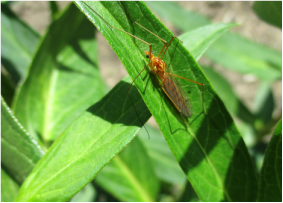 DNR District Forester Mark Vitosh and Iowa State University Extension horticulture expert Richard Jauron also join the conversation and answer listener questions. 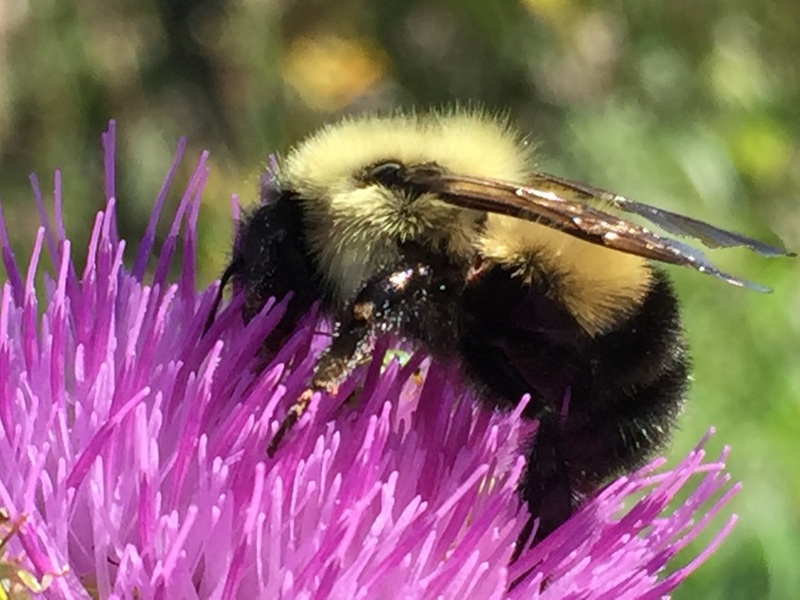 HELP PRESERVE POLLINATORS: Honeybee populations are decreasing at an increasing rate in Iowa and across the U.S., continuing the trend of recent years. 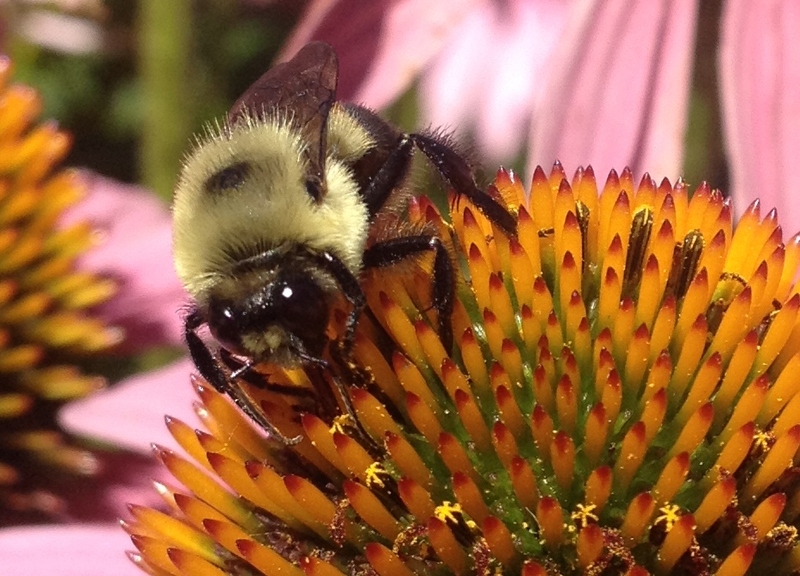 Iowa State University insect experts say the disappearance of bees is now reaching the breaking point. 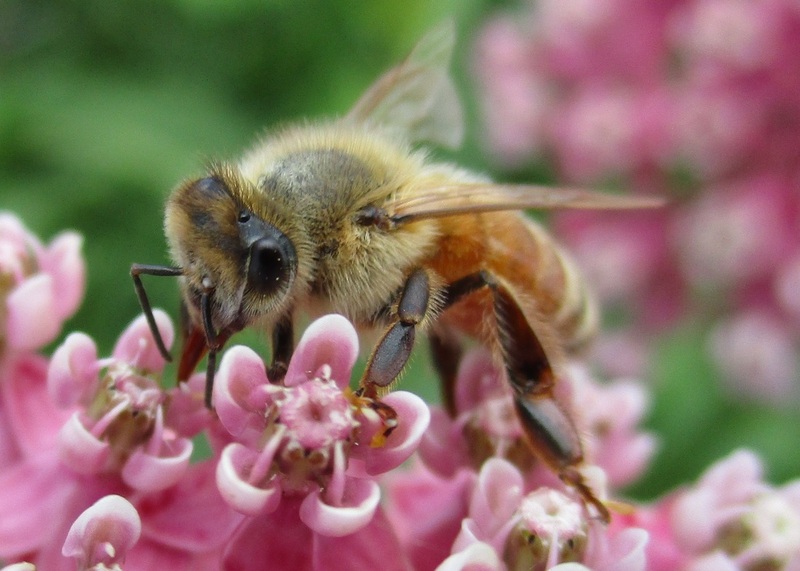 But they also say there are simple things farmers and everyone can do to help conserve bees, which are economically important as pollinators for crops. 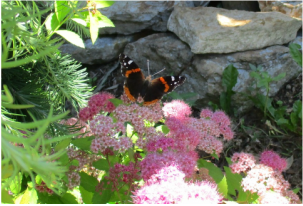 Bumblebees and butterflies and flower beetles, oh my! 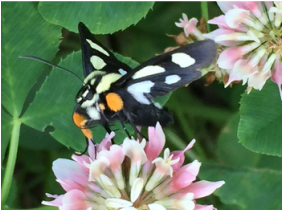 I dentifying native pollinators is a crucial aspect of preserving Iowa's bountiful farmlands - but do you know which ones best suit your land? 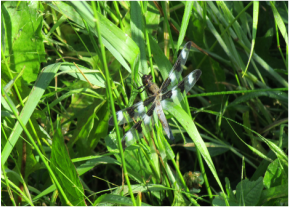 Understanding the microbial diversity and functional capabilities of soil in prairie ecosystems can be used to guide and monitor prairie reconstruction efforts and assess the health of agricultural land. 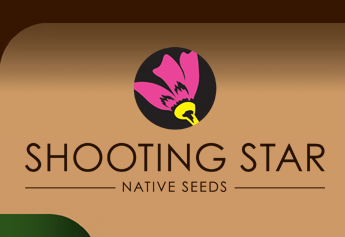 Shooting Star Native S﻿﻿eeds is a native restoration company that has been providing its customers with the products, services, and expertise needed to successfully re-establish thousands of acres of prairies, wetlands, and savannas for more than 20 years. 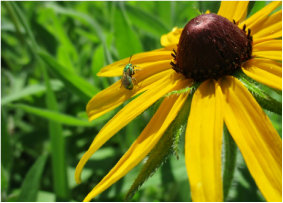 Besides operating one of the largest native seed farms in the Midwest, our dedicated team can also assist you with project planning, site preparation, installation, and land management services.